"A bear, however hard he tries, grows tubby without exercise." ~Winnie the Pooh. Increases lean muscle mass in relation to fat improving body composition and again increasing metabolism. Improves your insulin sensitivity and blood sugar handling. Elevates your mood and increases mental performance. Quite a list.Exercise, like a proper diet, needs to become a lifetime habit.Here are a few tips to help make exercise a part of your routine. Have a plan. Fail to plan than plan to fail, it's that simple. Outline your workouts by day, week and month. 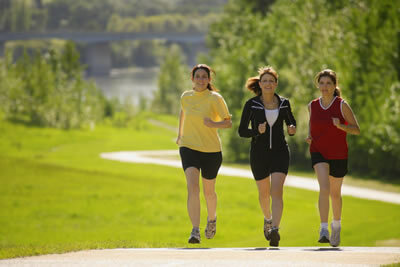 Know when you are going to exercise and what you are going to do. Don't Overdo It. Try for 30 minutes, 3-4 times a week. Fight Temptation. In the words of Nike "Just do it." There are plenty of mornings when I wake up and I don't want to do my workout. I'm always glad when I fight my way through. Schedule Breaks. You don't need to workout all the time, and scheduling breaks is great for morale and also for the body. Taking a week off every month to 8 weeks is reasonable. Recruit support. If you are self motivated and can workout on your own, no problems. But if not, working out with a friend, spouse, or signing up for a class or a trainer may be the ticket. Less is More.Most of us aren't trying to look like bodybuilders just looking for increased vitality. You don't have to workout for hours on end with heavy weights. I try and get myself out of breath 3-5 times per workout with rests in between. I shoot for that 2-3 times per week, the rest of the time I work on toning, flexibility, and FUN. My workouts are never longer than � an hour and I spend as much time on rest as I do on exertion in that time frame. If you would like some help setting up reasonable goals and a fitness program I can certainly help. I can design programs for young athletes wishing to hit their peak or seniors who want to feel better. The important thing is to work around what you want to do and accomplish. Give us a call at (802) 295-4800 and get your year started out right! ****See my special offer below! Dr. Chris Hastings, D.C., I.C.A.K. Experience the Life-Changing, Health-Enhancing Benefits of Nutritional Cleansing! Foot levelers, makers of what I believe to be the finest orthotics, are offering a sale for any of their custom made orthotics. For a limited time you can get their top of the line orthotics for $170. This is a $300 value. I cast using the latest technology, the Associate Platinum, which scans your feet and sends the scan directly to Foot Levelers for your custom fit. This is a great product for people with back, hip, or knee pain, and of course any foot pain. I also believe it is great as a pro-active measure to keep knees and hips in working order.